Choosing the right retirement option for your aging parent or loved one shouldn’t be made lightly. 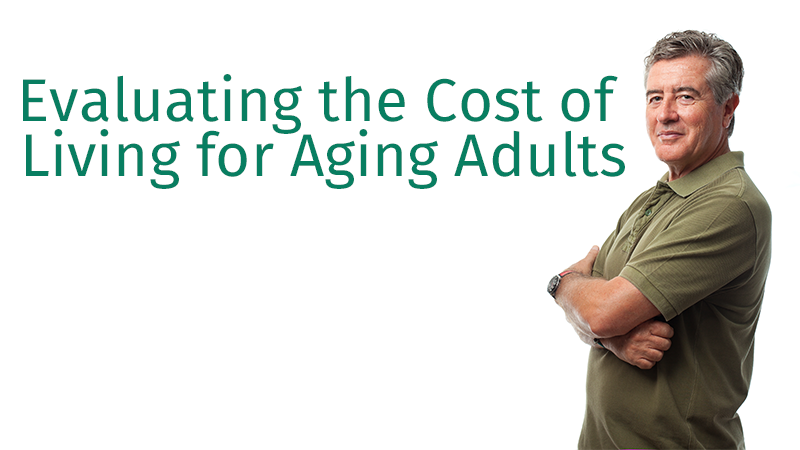 Consideration for the aging adult’s wishes, health status and the cost of care are all important factors to consider. For many aging Americans staying in their own homes is important to their sense of independence and helps maintain a positive outlook on life. In many cases it is the best choice and is often less expensive, too. Here’s a breakdown of what you can expect to pay for various retirement options. Retirement communities range from communities of mature adults with special interests to communities that serve all aging persons. They are designed for easy access to laundry facilities, may offer transportation and activities, community meals and a host of services designed to make life easier for residents. They are typically designed like an apartment complex with centralized services. Some have a medical doctor on staff, but a retirement community generally does not provide health or personal care services. Average Cost: $25,000 to $50,000, depending on the state. An upscale retirement community may cost considerably more. Adult day care services work well for many families if the aging family member lives with children or grandchildren and only needs care during the day. Like day care for children, adult day care services are provided at a facility that he or she attends each day. Entertainment, social engagement activities, meals and general care are provided by trained staff. Those who are capable of living independently, but need assistance with personal or medical care, meal preparation and housekeeping services often turn to assisted living centers as they age. These centers provide a private room or apartment for the resident while offering onsite services like housekeeping and meal preparation. This option works well for those who wish to remain independent, but also need the security of living with others. It provides ample opportunities for socializing with other residents, if desired. Average Cost: $65,000 to $70,000 per year or more, depending on the facility. Aging adults who need medical and/or personal care often opt for in-home care from a visiting health aide. The aide may come in every day or several days per week to provide needed services. Sometimes home health aide services and housekeeping services are combined. This option works well for those who need occasional in-home care but can live independently with some help. Nursing homes provide care in a setting similar to a hospital. Residents typically share a room and receive medical and personal care 24/7. They are bound to the rules and regulations governing nursing home care and have little independence. Nursing home care is typically reserved for those who need the most care and who cannot live independently due to physical or mental health. Average Cost: $90,000 to $100,000+ per year, depending on the nursing home and whether you have a private or semi-private room. Friendship at Home offers in-home care and services to assist mature adults who chose to remain in their homes and age in place. This is often the most enjoyable and least expensive option. To learn more about our services, attend one of our At Home Seminars or contact us today for more information about how Friendship At Home can enhance and improve the lives of aging adults.